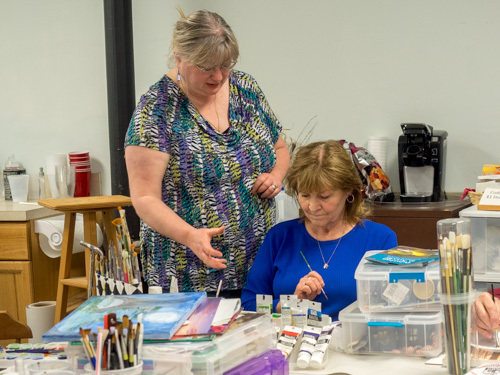 The Berkeley Arts Council announced two new classes for May to be held at the Berkeley Art Works, 116 North Queen Street in Martinsburg. Jean Kellogg will be teaching “Acrylic Textures & Technical Know-How!” on Wednesdays from 1-4pm starting May 4. There are certain textures that can make, or break a painting…a few of these can be found in Flowers, Feathers, Foliage, Fur, Fins and Hair! Of course, there are many more, but having an idea of how to execute them successfully can make a great difference in expressing your subject matter. The class runs for six weeks through June 8. 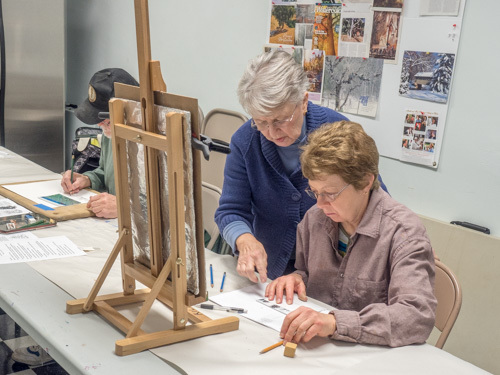 Judith Becker offers “Creative Approaches to Painting Landscapes” on Thursdays from 1-4pm starting May 19. Learn to paint landscapes with that WOW! factor. Working from the same landscape reference photo of your choice each week, instructor will present different approaches to paint the same landscape scene but with vastly different results. This is a unique way to push your own art into new dimensions, all the while learning composition and color theory beyond the usual. You will surprise yourself with your ability to advance your own art expertise. The class runs for four weeks through June 9. For details and online registration Visit http://www.berkeleyartswv.org/artworks/instruction/. Pre-registration is required. 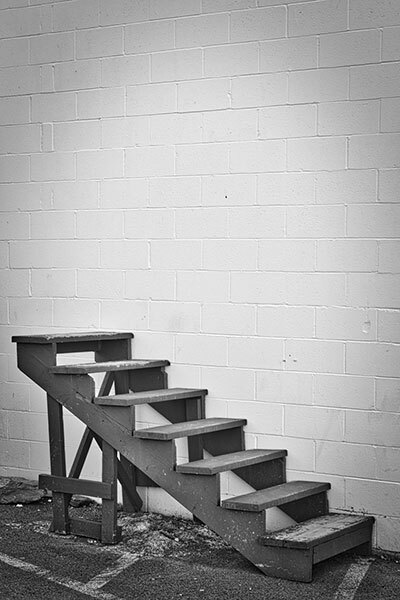 enter our third juried photography exhibit! You still have time to enter Berkeley Arts Council’s “Photo16” juried photography exhibit, which will be on display June 8-July 9, 2016 in the Berkeley Art Works gallery, 116 North Queen Street in Martinsburg, WV. We’re excited to have as juror for the exhibit Bruce Katsiff, former Director and CEO of the James A. Michener Art Museum (1989-2012). 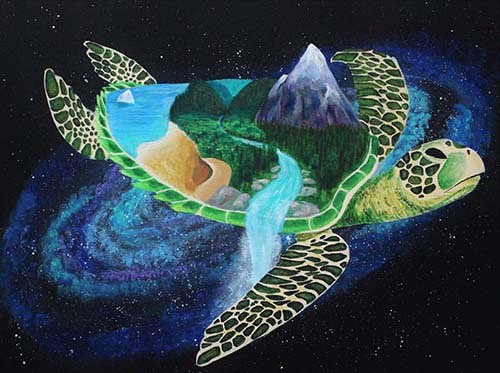 The Berkeley Arts Council has announce the winning art works in the Sixth Annual Art and Earth Juried Exhibit. The exhibit, which is produced by the Berkeley Arts Council is on display in the Berkeley Art Works gallery at 116 North Queen Street in Martinsburg. The Best in Show award went to Mary Hurst of Lewisburg, West Virginia for her oil painting, “Matrix”. Merit Awards went to Thomas Mitchell of Holden, Missouri for his photograph, “High Water Mark Buckskin Canyon”, and to Dimitrina Kutriansky of Collinsville, Illinois for her oil painting, “By the Pond”. Four Honorable Mention Awards went to Nathan Taves of Columbia City, Indiana for his oil painting, “Black Curve”, David Pittinger for his photograph, “At Rest”, Linda DeGraf of Harpers Ferry, West Virginia for her quilted fabric wall hanging “Heron”, and Gary Bergel off Charles Town, West Virginia for his digital photograph “Dayflower-It Blooms But a Morning”. The awards were presented by Berkeley Arts Council President Malinda Shaver at the reception in the gallery on Saturday, April 9. The exhibit is on display in the Berkley Art Works through April 30. Gallery hours are Wed 11-5, Thu 11-5, Fri 11-8, Sat 10-5, and Sun 12-3. Mon-Tue closed. Following the awards presentation, Juror Doug Kinnett gave a talk about his work with his “crit group” of artists who meet to discuss their work and support each other. 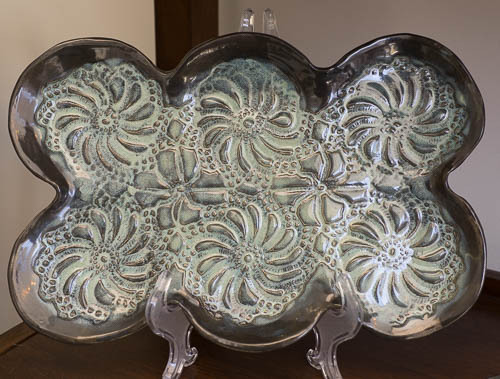 The first thing you notice about Martha LeRoi’s ceramic pieces is the intricate design. 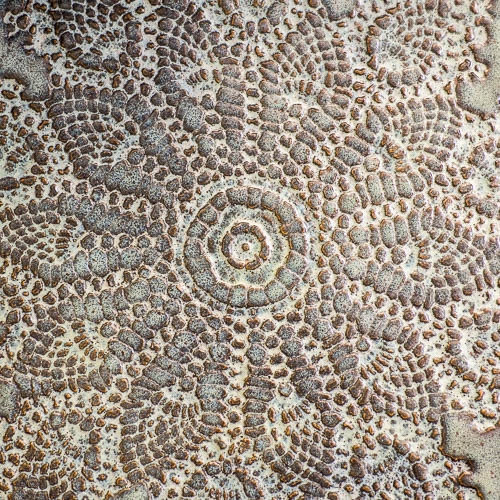 When you look at them more closely, you realize her works reflect the colors and patterns of nature. Wisps, crackles, sways, rustles–you can almost hear nature’s sounds flowing from the clay. Inspired by an aunt who “was not an artist but who liked to do art things,” Martha likes to play around with texture. Sometimes she carves directly into her clay. 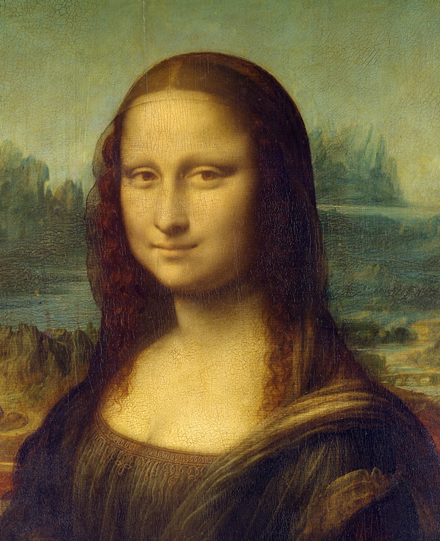 Other times she hand-carves a stamp and uses that to transfer an image. Martha is a retired social worker; she still teaches sociology part-time at Shepherd University. She says she teaches for fun, just as she works with clay for fun. “Neither pays enough for anything other than having fun,” she says. The freedom of doing art but not having to depend on it for a living is a luxury Martha appreciates. She grew up in Maine and spent her working life in Connecticut. About ten years ago she moved to the Eastern Panhandle, in part to be near a daughter and her family. Being a member of the Berkeley Art Works Co-op for many of those years has been a positive aspect of her life. 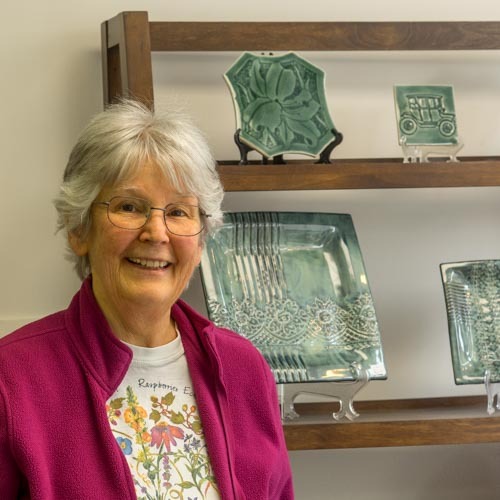 “I’ve enjoyed being part of a group of artists,” Martha comments, “and I’ve enjoyed being part of the markets and shows.” This year she used a new glaze that “seemed festive” for the pieces she sold at the Holiday Market. Celadon, a green-glazed ceramic that originated in China, is her absolute favorite art form. Because celadon requires a special kiln that she has to travel to Baltimore to find, Martha doesn’t make as much of it as she would like. She is a practical woman, and excels with more easily-fired glazes that highlight the ridges and crevices of her original carvings and stampings. 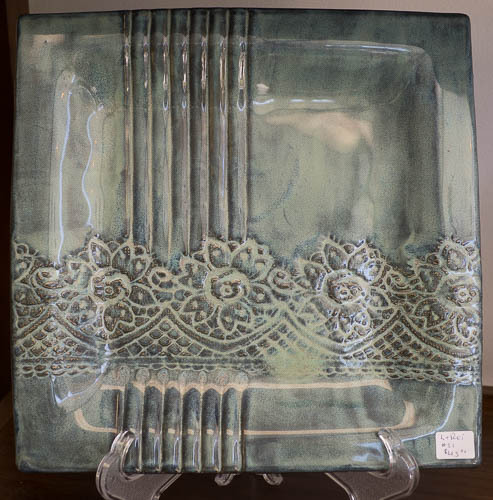 The next time you are in downtown Martinsburg, stop by Berkeley Art Works at 116 North Queen Street and check out the collection of Martha LeRoi ceramics on sale for decorating your home or office and one-of-a-kind gift giving. The co-op gallery is open Wednesday 11-5; Thursday 11-5; Friday 11-8; Saturday 10-5, and Sunday 12-3. Berkeley Art Works is closed Monday and Tuesday.